Heat shrink sleeve label is use special ink printed . In the labeling process, the shrink sleeve label will soon shrink along the outer contour of the bottle when heating the label at 70℃. 1. 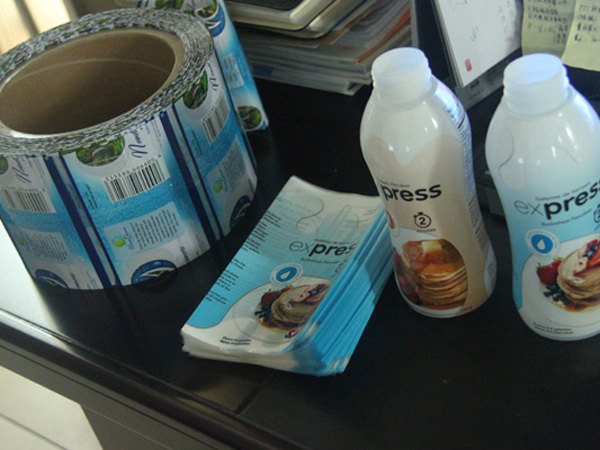 Buy the cut well label, worker handle sleeve the label on the bottle, then go through hot-steam shrinking tunnel, the pvc label will shrink wrap on the bottle very tight. 2. Buy the roll label. The sleeve labeling machine will automatic read every pass bottle, then cut well a label and position the label on the bottle, then go through hot-steam shrinking tunnel, the pvc label will shrink wrap on the bottle very tight.